June in Minnesota means gardening! Our mini-challenge this month is to take steps to make our food choices more local. Gardening: If you’ve got a yard, you can start a garden. At our house, we are trying out square foot gardening. We’ve planted some plants in the traditional manner. We’ve got some in boxes with our own soil, and we’ve got 3 boxes planted with the special Mel’s mix. We’ll see how they do. Don’t have space for a garden? Try a container garden on a patio or deck. 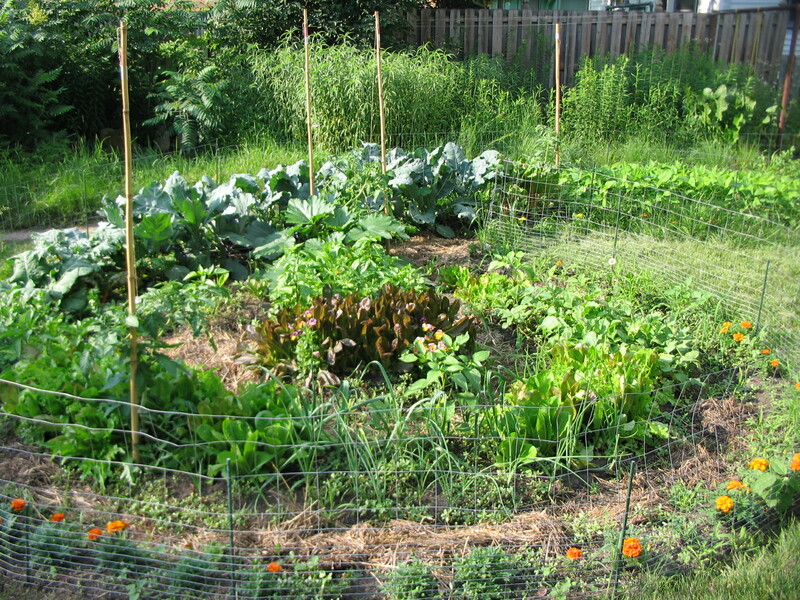 One group member who had no sun in her yard walked over to a neighbor and asked if she could garden in her spare lot. The neighbor said yes. Shop local: Maybe you don’t have time to garden. You can still shop more locally by buying at the Midtown Farmer’s market or the coop. Or visit your favorite restaurant and see if they source their foods locally. Consider signing on to the Eat Local challenge. A group member reported that if you shop the Seward Coop, your receipt will show you what percentage of your purchase was locally grown. She recently took a class on shopping the coop on a budget and reported that it was very informative and inspirational. She realized she could save a lot more money. There is another class coming up on July 16. Whatever you do, happy eating! The mini-challenges are intentionally broad and vague in order to accommodate people wherever they are in their journey toward sustainability and whatever their resources. Tenants don’t have the same control over their home as homeowners; for some actions, income may be a significant factor, in other situations, time may be a bigger stumbling block. You know your own situation and your own motivations. The mini-challenge is meant to inspire you to take time this month to go deeper. You’ll find a list of the mini-challenge for the rest of the year on the mini-challenges page. At Longfellow Sustainability Group meetings, members share what they did for the mini-challenge, whether it was something new that they tried or something they’ve been doing that has been successful. It’s a great way to get additional ideas for change, to hear first-hand how it has worked for someone who’s been doing it, to share resources and to get support. This entry was posted in mini challenges and tagged farmers market, gardening, local food. Bookmark the permalink.